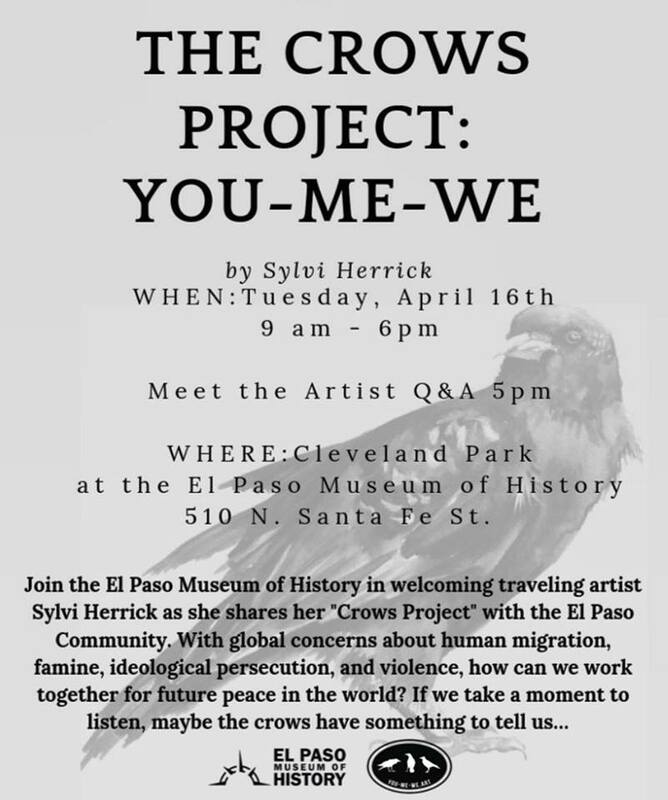 The El Paso Museum of History is hosting my pop-up art installation titled “The Crows Project: You-Me-We” on Tuesday April 16, 2019. The art installation will be located on Cleveland Park in front of EPMH and will be accessible from 9:00 a.m. to 6:00 p.m. In addition, the museum will host a “Meet the Artist” event on April 16, 2019 at 5:00 p.m. Stop by to share crow stories, ideas about human migration or compassionate thoughts for our borders. Hope to see you there!